Today I have a short video tutorial up on how I made the background for this page, mac ready. 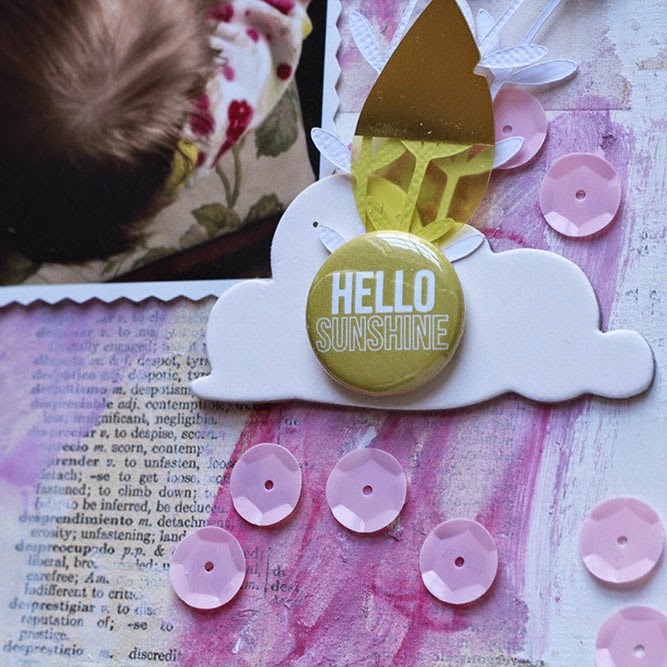 All the little bits and pieces on the page are from my Cocoa Daisy kits, but the background is a super easy DIY mixed media piece made with just a few basic supplies. 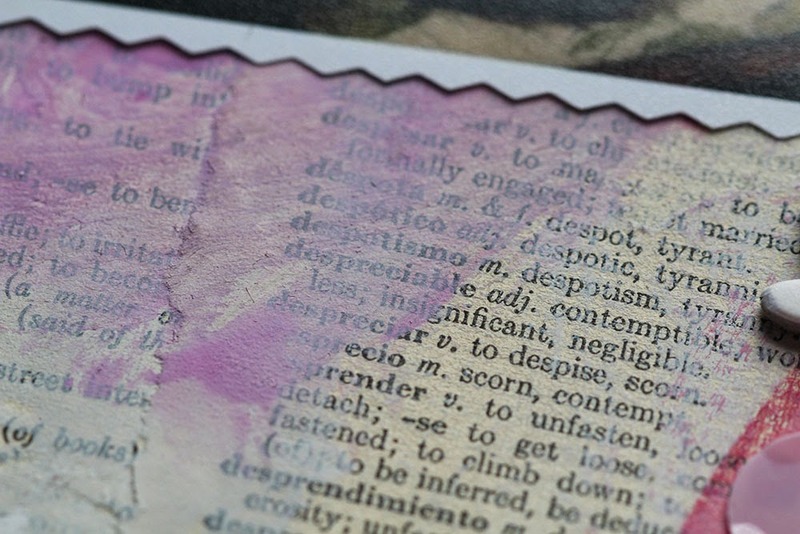 This background took all of five minutes to make... so so super easy and I just love the effect of the layered book pages and gesso and the crayon-y goodness. This is a technique I've used on lots of pages because it is so easy, impossible to mess up and looks different every time. 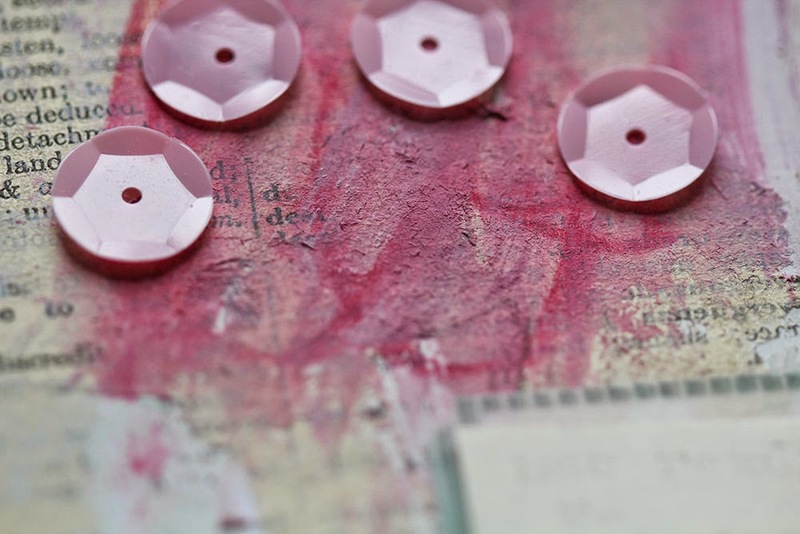 All you need is a piece of cardstock, gesso, book pages, and something to add some colour -- I used Caran d'Ache artist crayons, but gelatos, watercolour paints, watercolour pencils, PanPastels, or mists all work really well too. The water-soluble Caran d'Ache Neocolor II wax pastels I used: Purple, Salmon, Pink, Carmine. love the background and the page! Oh, wow -- thanks for this! I love love the paint on your layout, it looks so artsy! Well done! I love the book paper technique of tearing it off to leave little bits showing. Pretty background and layout! Love this! Thx for sharing how to in video too! 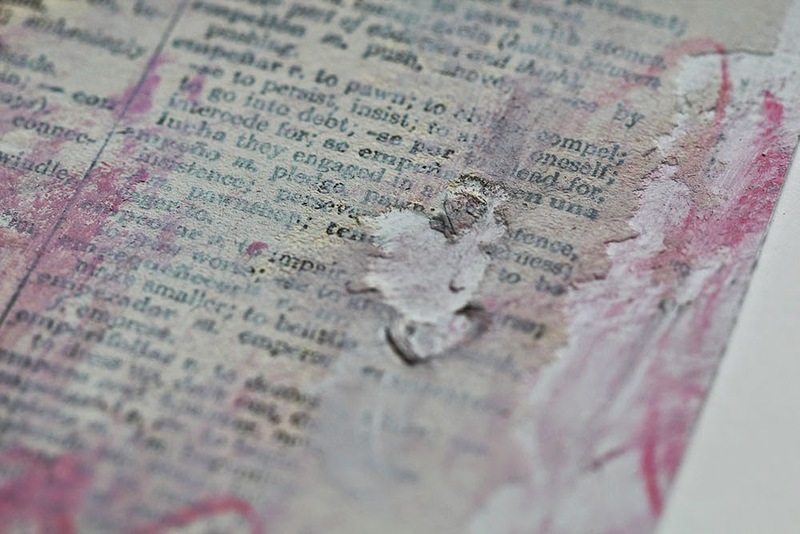 I've worked with gesso before but never with the book pages! I must try this!